March 6th , 2018: FinaCom PLC, operator of the Financial Commission (FinancialCommission.org) – an independent Self-Regulatory Organization (SRO) and External Dispute Resolution (EDR) body for foreign exchange (Forex), CFD, and cryptocurrency market participants, including retail consumers, brokerages, and technology providers, today announces the results of its 2017 annual report. Financial Commission’s 2017 annual report reveals substantial increases in many of its key business drivers, with significant acceleration compared to its 2016 results. The amount of compensations awarded increased exponentially to $1,564,700.00 in 2017, a nearly tenfold rise compared Year-over-Year (YoY) from $157,326 in 2016. From the creation of new business segments to the expansion of its management and staff, and new approved members and improved complaints processing statistics for 2017, Financial Commission continues to prove its ability to scale and the vital role it has supporting international market participants. Accordingly, Financial Commissions is one of the fastest-growing and most recognized independent SRO and EDR body in the global retail Forex industry. Financial Commission experienced greater interest from the broader trading community in assisting with disputes, as the number of complaints registered against non-member brokers rose to 135 in 2017, up more than triple on the year-over-year basis compared to 37 filed in 2016. A record 764 complaints sought over $5.77m in complaints. Even as the number of filed complaints increased by nearly 500% rising to 764 for the calendar year (or more than 63 per month on average) Financial Commission demonstrated that its EDR system is highly efficient as the speed of resolving the average complaint improved by 7% compared to 2016. Likewise, the ratio of resolved complaints improved by 15% in 2017, reflecting the increased efficiency of Financial Commission’s dispute resolution process. 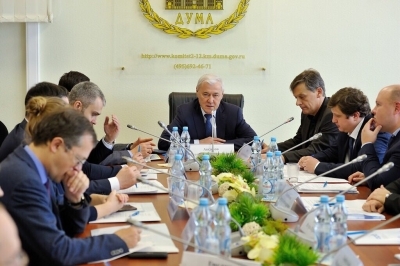 Further to Financial Commission’s core growth as an independent for-profit business, there were significant cross-border synergies with national regulatory bodies including ARFIN in Belarus during 2017, and Russia’s State DUMA shortly after the conclusion of the calendar year where Chairman Peter Tatarnikov consulted the Financial Markets Committee, advising on forex and derivatives trading. Financial Commission attended numerous events and participated as an exhibitor, and on panels at several key industry gatherings in 2017 across the globe, including in Europe and Asia, providing ample interaction with the public including gauging sentiment and hearing feedback.. Following the importance of the Global FX Code highlighted in last year’s annual report, there continued to be a rise of non-bank dealers in 2017 including prime brokers (PBs) and liquidity providers (LPs). Furthermore, more retail brokerages embraced and adopted aspects of the code’s voluntary standards which could soon help unify laws in various regulatory hubs surrounding forex, and as the need for best execution and dealing transparency becomes commonplace in the years ahead. Self-regulatory efforts continued to be of importance in 2017 along with government mandates where many brokers and technology providers with business in Europe had prepared for MiFID II which went into effect in early 2018. Following the IOSCO research noted in last year’s report surrounding leverage and margin-based OTC derivatives, the UK, and other EU-member states took massive action to reduce leverage, and institute other default requirements for margin-based trading accounts, and negative balance protection for CFD traders in countries like Germany. An increasingly growing number of brokerages launched cryptocurrency CFDs in 2017, coinciding with the market for ICOs becoming flooded with capital across the world, and the need for proper risk-management and crypto liquidity becoming important for margin-based cryptocurrency CFDs trading offerings. Some brokers discontinued their crypto offerings temporarily to improve their setup with regards to contract specifications and risk-management and liquidity sources. On the backdrop of highly dynamic market conditions and a new cryptocurrency-related landscape steadily emerging, Financial Commission was strategically aligned with the needs of the industry in 2017, as evidenced by its results and record achievements. In terms of the relationship between counterparties, including broker-to-client trading, as it is natural for disputes to arise from time to time, the process for resolving such disputes is not always as straightforward, and providing fair and efficient dispute resolution is a core part of Financial Commission’s mission to assist the industry in overcoming these inevitable challenges. A total of 13 new members were approved by Financial Commission – a 75% increase year-over-year, as well as 4 fintech providers certified, which brought the total number of members to 44 (including certified technology providers). During the year, two existing members upgraded their category of membership to A level. There were 8 new appointments made to bolster the Dispute Resolution Committee (DRC) bringing its total to 19 committee members. Traders Education, Verify My Trade, Dartek Consulting, and Drofa PR, were added to the Partners section. There were 764 complaints filed with Financial Commission, a nearly five-fold increase compared to 165 complaints filed in 2017. Over $1.56 million in compensation was awarded in 2017, a nearly tenfold increase Year-over-Year (YoY). Financial Commission warned about clones, and issued a warning list, helping to deter the public from potential online scams. The technology certification unit was expanded with the launch of Financial Commission’s ICO Certification service to address the increased demand of technology providers who seek to use blockchain technology to conduct initial coin offerings (ICO) related to their Financial Technology (Fintech) offering. There were 7 new appointments made to the newly create ICO Certification Committee (ICC). The technology certification unit was expanded with the launch of the Education Certification Service, for providers of education-related technology. 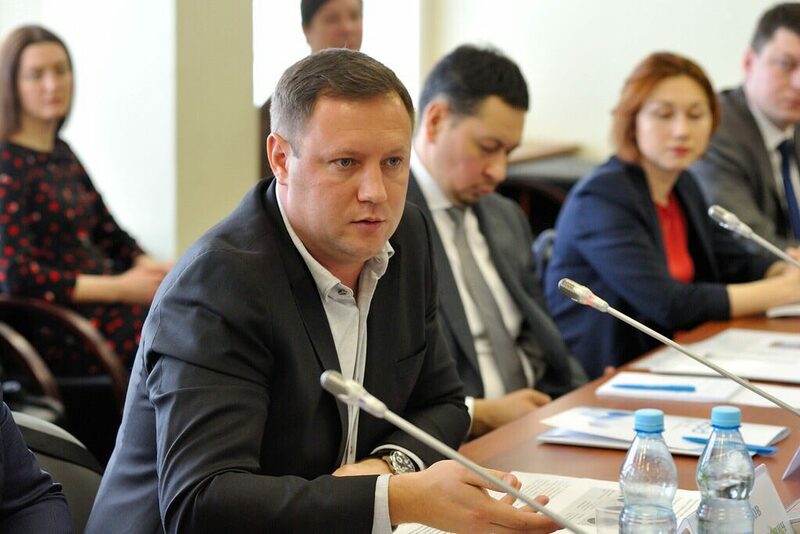 Chairman Peter Tatarnikov joined the Expert Council of the Association of Forex Dealers (AFD) – a leading SRO in Russia. 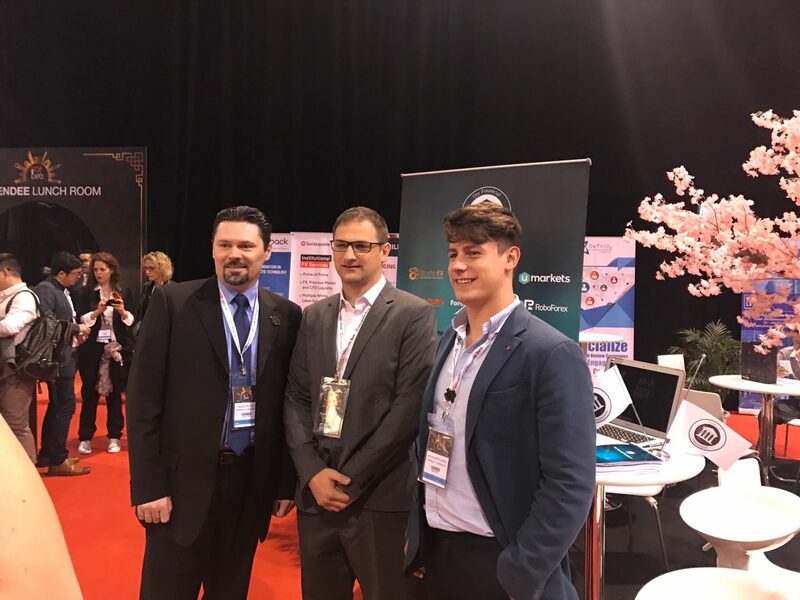 Financial Commission participated in key industry events across the globe, meeting with clients and members at important industry conferences in London, Cyprus, Hong Kong, and Shanghai, and held important meetings with industry regulatory bodies in Eastern Europe and the Caribbean, and Central America. Founded in 2013, Financial Commission (operated by FinaCom PLC) is a for-profit independent business that operates as an EDR and SRO and is not a governmental organization nor designated by any sovereign nation. Financial Commission provides services-based & membership-based solutions and maintains brands domiciled in several jurisdictions including Hong Kong (HK), the United Kingdom (UK) and Saint Vincent and the Grenadines (SVG). The three pillars that uphold Financial Commission’s mission statement are market transparency, efficient dispute resolution, and market participant education. Supporting self-regulatory efforts is just one of the benefits provided by the Financial Commission as its members join voluntarily – yet members must adhere to strict guidelines to maintain membership and demonstrate transparency, compliance, and integrity. Financial Commission facilitates an unparalleled dispute resolution process between online brokerages and their end-customers when the inevitable case of trade disputes cannot be resolved between parties. The subject of each complaint can be as diverse as the underlying broker, product, or customer, yet all disputes share one thing in common which is to seek fair dealings regardless of the financial services products, providers, trading technologies, or pricing issues related to market participants’ transactions, from the complaints that are filed. Financial Commission helps protect the interests of both brokers and traders in a non-bias manner by providing a fair and neutral platform to effectively resolve complaints. Financial Commission ensures that traders and brokers are getting their disputes resolved in an efficient, unbiased, and quick manner, using a proven EDR platform. While dispute resolution services are only available to members, Financial Commission provides a growing array of non-member services such as technology certification solutions and an expanding partner network. 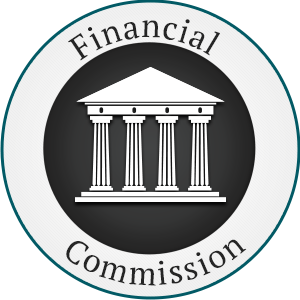 Financial Commission’s official website is https://FinancialCommission.org, and is steered by its executive board, management team, and committee members, with leadership that spans the global industry. Peter has 17 years’ experience in the Forex Industry. He started his career as a trading desk assistant back in 1999 and in 2003 he filled a Chief Dealer position in one of the largest retail Forex brokers in Russia. In-depth knowledge of FX operations and high managerial skills brought Peter to a COO position at Forex Club USA in 2006 and in 2010 he earned a CEO chair. During his career, Peter designed and held over 200 seminars on Forex Trading. He also conducted seminars for senior representatives of the Bank of Russia on western models of Forex regulation. Professional trader and author of a dozen books Dr. Alexander Elder, included Peter’s trading strategy into his book “Entries & Exits”. Peter’s professionalism and commitment have made him a well-known FX market commentator and spokesperson for the retail FX industry. Michael Greenberg is the CEO and founder of Forex Magnates. 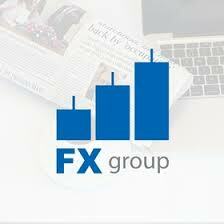 Michael launched Forex Magnates in 2009 as a simple blog in an effort to bring more transparency to the forex market. 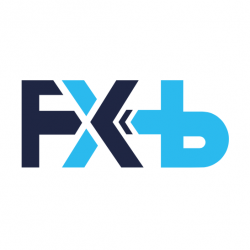 Ever since the humble project grew into a well known portal providing daily news, commentary and research about the forex industry in 7 languages. Since 2012 Forex Magnates is also operating several major industry B2B conferences such as Tokyo and London Summit and IFXEXPO Asia. Prior to Forex Magnates Michael worked as Sales Executive for a forex software firm and prior to that was an Associate in an investment bank. In January 2012 Michael was chosen as “Forex Person of the Year 2011” by the prestigious FXStreet portal. 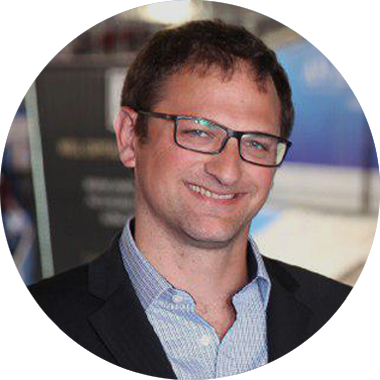 Alex has 17 years of marketing experience and he is a true expert in strategic planning and operational marketing. His career includes a variety of projects including the Forex industry. 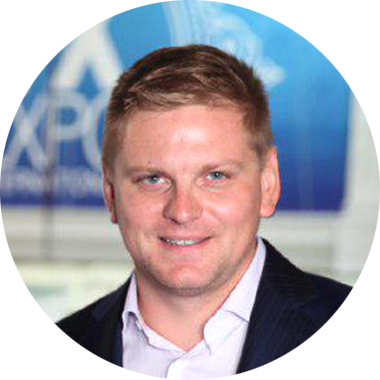 One of Alex’s strengths are start-ups and has helped develop 3 major Forex projects from scratch. In 2003 he was appointed to the Chief Marketing Officer position at one of the largest retail FX Brokerage companies – Forex Club, where he successfully led growth and market innovation initiatives. Nikolai held a number of senior roles for GAIN Capital Group’s Forex.com brand, with a concentration across various regions including Russia, Eastern Europe, Australia and the US. 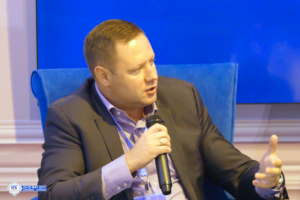 While at GAIN Capital Group, Nikolai held senior marketing roles which included managing and coordinating across related efforts tied to trading signal products and platform technology localization in many regions of the world including five years in Russia and the Commonwealth Independent States (CIS) for the broker. Nikolai is the founder and president of New York-based Dartek Consulting, a boutique advisory firm providing marketing and consulting services to venture capital firms, crypto companies and online brokerages. 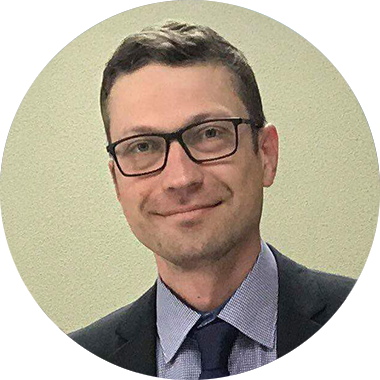 Artem Karpichenko is a law professional who currently holds the role of Senior Operation Officer, helping our organization serve participants in the online financial brokerage industry. Before his current role, Artem was a Senior Counsel at RDI Group in Moscow, where he gained hands-on experience dealing with court litigation and legal cases that often arose between consumers and companies. Artem obtained a Bachelors of Laws from King’s College London, after obtaining a Master’s degree in Civil Law from the Russian Academy of Justice in Moscow, where he is currently pursuing a Ph.D. in the field of legal work in Government agencies. Below the Commission presents further details of its Annual Report for 2017, with statistics on the number of complaints handled and key metrics regarding processing and mediation results. The statistics information is insightful to our members and their clients, the public, and for brokerages and technology developers that are considering the benefits of obtaining membership with the Financial Commission and/or are interested in learning about the organization’s structure. As market participants continue to demand the best execution and fair dealing, the need for transparency continues to grow and brokers that are willing to voluntarily demonstrate transparency by becoming members. In March, Financial Commission expelled a member for non-compliance after it did not honor the ruling of the DRC related to monetary awards based on two complaints filed against it from two affected customers. This expulsion also required that Financial Commission take emergency action to help the affected clients by utilizing the compensation fund to pay the customers a combined $7,082 to cover that two award amounts and cover the damages after their broker failed to do so. Building trust is crucial and using fair and neutral 3rd party dispute resolution – that Financial Commission provides – is an effective solution in cases where clients or brokers cannot resolve matters together and seek an independent channel and wish to avoid often complex legal or costly arbitration alternatives. The Financial Commission continues to achieve this objective by providing brokerages and technology firms with the benefits that accompany membership status, as seen in the statistics results for 2017. As the number of new members added grew, there was a significant increase in the total number of complaints received in 2017 (764 complaints filed), compared Year-over-Year from 2016 (165 complaints filed). This nearly 500% increase was driven from the addition of new members reflecting the increasing credibility and positive reputation Financial Commission has been earning since its foundation and coupled with market volatility from major geopolitical events during the year. The monetary amounts for complaints filed during 2017 ranged from as low as $7 to as much as $846,200.00, and the total amount of compensation that was paid out was $1,564,700.00 from a total of 764 complaints filed. The nearly five-fold increase in compensation sought highlights the increased monetary significance of the complaints processed by the DRC and broker client’s reliance on the Commission in getting disputes resolved (as opposed to, in some cases, resorting to other regulatory bodies and legal channels including costly arbitration). Trading complaints are directly related to the process of trading on the market and the effect of execution of orders, payment of margins, calculation of commissions, forced liquidation of positions and other parts of the trade cycle. These complaints are considered by the Dispute Resolution Committee and included in the statistics. Financial complaints are related to transactions on the account, and in the majority of cases involve delays in withdrawals. Such complaints do not fall under dispute resolution process; however, the Financial Commission never rejects such complaints and helps advocate the payment process with clients until the end. We do not record cases of non-payment of funds to the clients by Member-companies. Nevertheless, in cases when such complaints are received against non-member companies providing a refund to the client from the broker is often very problematic. Non-trading complaints are often clients’ complaints about the facts of losses incurred as a result of cooperation with the administering traders and sales consultants. To a lesser extent, these are complaints for automatic copying transactions systems and signaling services. Such complaints do not fall under the dispute resolution process; however, we always analyze the contract, risks warning, correspondence and negotiations with the client and also give our assessment of the situation and recommendations for a possible settlement of the dispute. Financial Commission exhibited at the 2017 iFX Expo in Hong Kong which took place at the end of January, followed by the 2017 Asia Trading Summit in Shanghai in March, followed by the 2017 iFX Expo in Cyprus in May where Chairman Peter Tatarnikov spoke on a panel about regulation and gave an interview to a local TV channel at the expo. In November 2017, Financial Commission also attended the 2017 Finance Magnates London Summit. 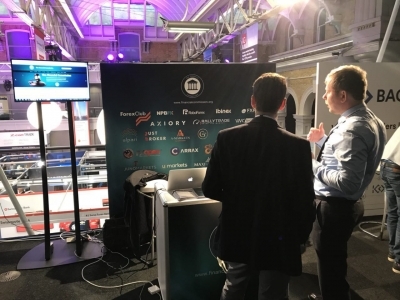 Event participation in 2017 continued to provide Financial Commission with direct access to meet with brokers and technology providers as well as interact with professional and retail traders. In early November Financial Commission enhanced its member rules with regard to complaints processing and subsequently added QR codes to its Certificates to deter the risks of clone websites and forged information. Following the MoU announced in 2016 between Financial Commission and the Association of Financial Market Development (ARFIN) in Belarus, in July 2017 Financial Commission welcomed ARFIN’s chairman to join Financial Commission’s DRC. At the end of November 2017, Chairman Peter Tatarnikov joined the Expert Council of the Association of Forex Dealers (AFD) in Russia. A total of seven new persons were appointed to Financial Commission’s DRC in 2017, bringing the total current number of committee members to nineteen. With more than 20 years of senior leadership and innovation in retail brokerage and finance organizations, Dr. Anna Becker has core experiences in founding retail software solutions and building retail brokerages. She has proven expertise in bringing new technologies like big data systems, behavioral systems and automation to drive innovation in retail trading. Dr. Becker’s early entrepreneurial successes range from founding Strategy Runner (Sold) to driving growth in established organizations (MF Global, Gilboa Fund). Lately, she founded Sherpa (www.allsherpa.com) to provide new technologies and services to retail financial institutions. As an experienced executive and change agent in retail finance, Dr. Becker has worked with more than 300 brokers and has served as the compliance officer with regulators like the NFA and CFTC. 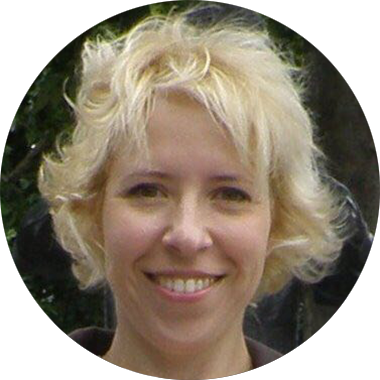 Dr. Anna Becker holds MSc degree in computer science and PhD degree in AI from Technion (Israel). She is also an author of several books on Artificial Intelligence and has deep experience in algorithmic investment solutions. Valery has created his own IT-company, IndigoSoft LTD, which has united a team of highly skilled specialists in the field of broker software development. The accumulation of extensive practical experience and skills has allowed him to create a new unique product – Broker Pilot. This is a corporate web-platform, which takes the technological level of dealing to an unprecedentedly high level of quality. 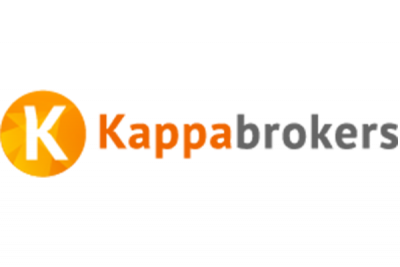 This platform has realtime monitoring, risk management and automatic management of broker business processes. Valery’s goal is to create new technologies and provide them to management companies and brokers. Valery has finished a postgraduate degree in the Saratov state Technical University, specializing in IT. Since 2003 he has created trading algorithms, platforms, liquidity API for hedge funds, managing companies and brokers. He has many years of successful trading experience in financial markets and great experience as a Chief Dealer. Valery has earned a reputation as one of the best professionals in the industry. In August 2017, Financial Commission extended its technology certification service to financial technology (Fintech) companies pursuing the use of blockchain technology via an Initial Coin Offering (ICO) and that are seeking to voluntarily demonstrate compliance with a minimum set of standards established by Financial Commission’s ICO Certification Committee. Initially, several experts were appointed as committee members, following the creation of the ICC division in 2017. Pavel is well known in the foreign exchange industry for his senior roles in international FX brands, including Alpari, Alfa-Bank, and GKFX. More notably, Mr. Salas developed and managed the Russian and CIS operations of one of the world’s most popular social trading platforms, eToro. Today, Pavel has emerged as an expert in the field of cryptocurrency and blockchain technology. He is currently the CEO of Tokenbox, a unique ecosystem that combines crypto-currency funds under the management of professional portfolio managers and traders on the one hand and investors on the other. 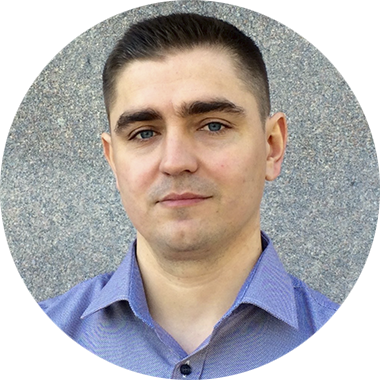 Pavel is also the founder of Blockchain Consult advisory, focused on educating companies on the technology and the integration of blockchain in traditional business processes. Apart from his business practices, Mr. 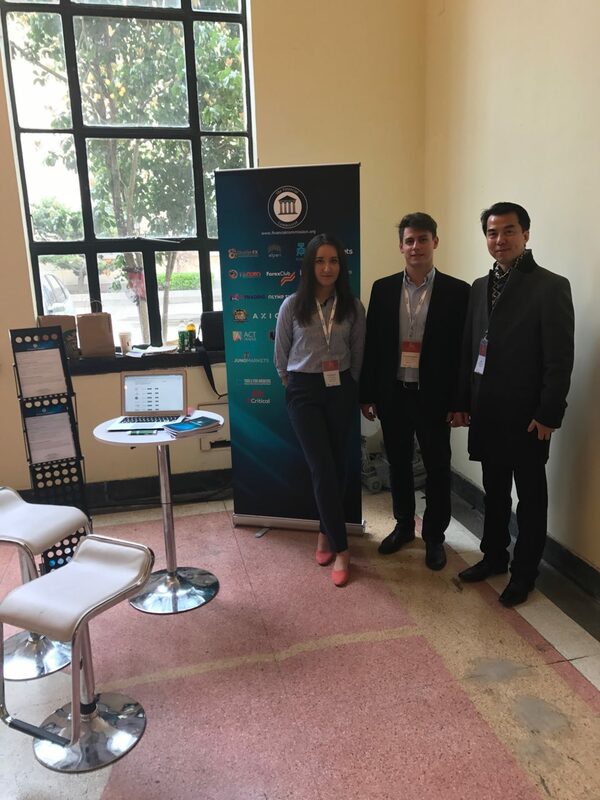 Sales has conducted master classes related to cryptocurrencies and blockchain in leading universities in Russia, as well as advising the State Duma of Russian Federation on the regulation of these new markets and technologies. 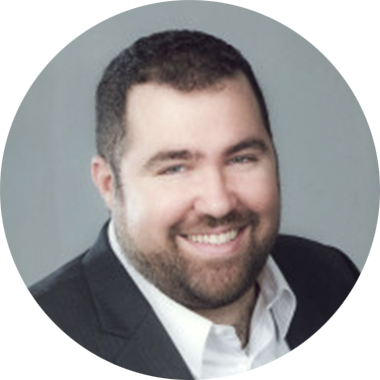 Steven Hatzakis is the CEO of his Fintech consulting firm Steven Hatzakis Inc., and serves as Global Director of Research, Forex & Crypto, for Michigan-based Reink Media Group, heading the ForexBrokers.com and FuturesBrokers.com portfolio brands. Steven holds a series 3 license as a commodity futures representative and registered CTA for over a decade. He has spoken at and attended over 30 industry events including as a member of the media, in New York, Switzerland, London, Cyprus, and Hong Kong. Steven previously served as an Editor for Finance Magnates and has held numerous positions with technology-driven online multi-asset brokerages regulated in the US and internationally over the course of nearly 20 years in the Forex industry. Avi is a trained economist with a BA and MBA from TAU, specializing in finance and entrepreneurship. His interest in the business culture in greater China led to his studying for an IMBA at the National Chengchi University in Taipei. He previously worked at a stock options trading desk for a bank in Israel and later as an associate for FXCM. Avi is Finance Magnates’ Blockchain Editor and has been covering the cryptocurrency ecosystem since 2013. Dmitri Turkevich is a seasoned marketing professional in the online advertising industry with a focus on digital marketing within the online finance and gaming sectors. Since November 2015, Dmitri currently serves as Director of Business Development at Rambler&Co. an innovative marketing agency that serves content on the web and mobile devices to 42 million users across multiple publications and through its various brands. Since 2013, Dmitri is currently a partner at MediaSniper, a Moscow-based media company that provides global Real-Time Bidding (RTB) and Demand Side Platform (DSP). 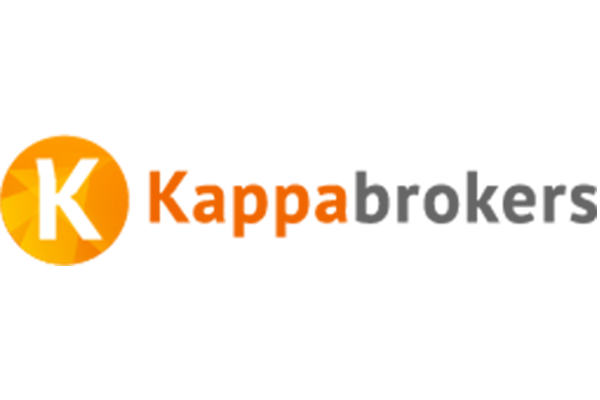 Prior to founding MediaSniper in 2013, Dmitri was CEO of Direct Media & Gaming and with the firm for over six years since March of 2008. 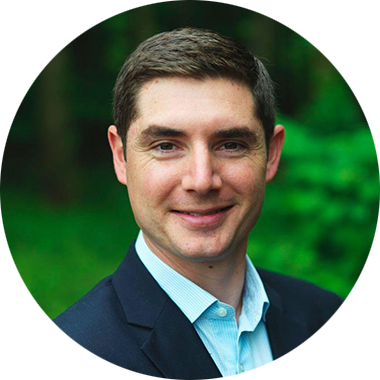 Before embarking on his nearly-decade career in finance marketing, Dmitri studied economics in 2002 for four years at the Institute for US and Canadian Studies – a Russian think tank that is part of the Russian Academy of Sciences. Simon’s roots stem from the retail FX marketplace and IT solutions – a former registered CTA with the NFA, Simon has a solid background of the inner workings of the capital markets. Simon started his career in IT and then became a registered CTA (2006) to form Gallant FX and then co-founded and headed up the product development of Gallant VPS and co-founding Gallant Capital Markets (GCMFX). His expert knowledge of developing a project and launching products, in some markets, driven by innovation, has allowed him to participate in the launch of some brokerages and the deployment of SaaS/PaaS initiatives, in use by many large retail institutions. Simon founded Ibinex in 2014 and now caters to a growing number of White Labels and institutional cryptocurrency solution providers. 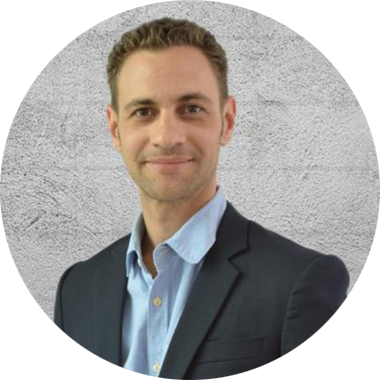 Bryan Feinberg is the CEO and Founder of Etheralabs, Zephyr and P2Primex. All early stage innovation launchpads. 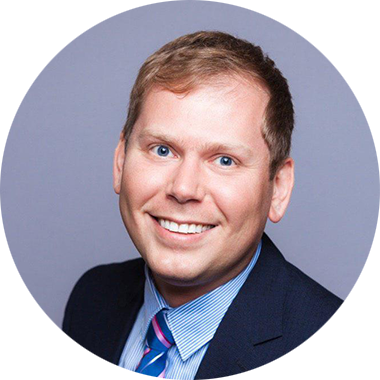 For the past past several years has been deeply involved across the Blockchain ecosystem and across multiple early stage and emerging companies technologies and ecosystems.. Bryan is a licensed investment banker holding is 7, 63 and 79 FINRA Licenses as well as a Founding Partner of The-Blockchain.com. Focus Areas: Banking & Regulatory Compliance, Syndication, Intelligence, Wallet Security, Search, Machine Learning and Big Data. 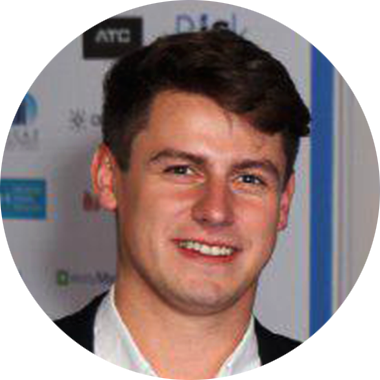 Theodosis is a Research Fellow at UCL’s Centre for Blockchain Technologies (UCL-CBT) amd Director of the MSc in Business Intelligence and Data Analytics at the Cyprus International Institute of Management (CIIM). 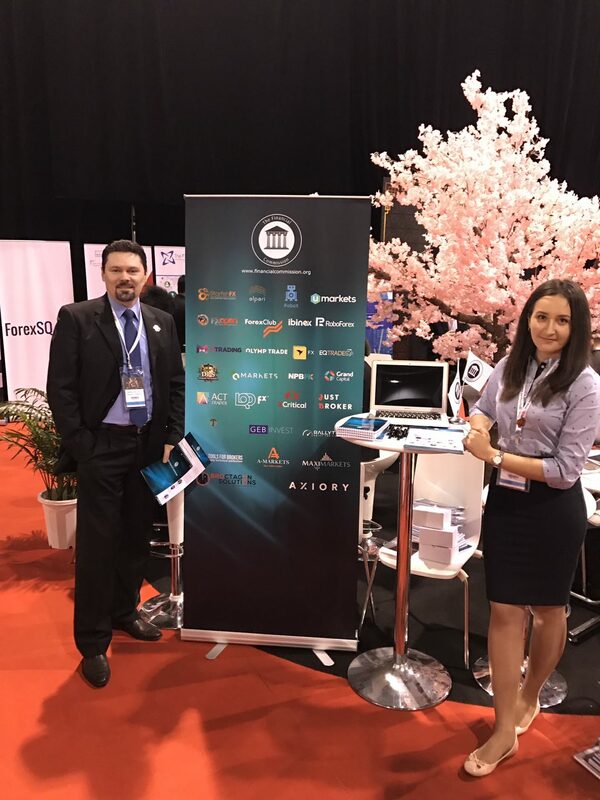 Theodosis is also an advisor to BitJob, Greeneum and Crypto20 and have been a consultant with PeerPlays. He holds a BA/MA and a Master of Advanced Study in Mathematics from University of Cambridge, a Master of Research (MRes) in Security Science and a PhD in Information Security and Cryptography from University College London (UCL). 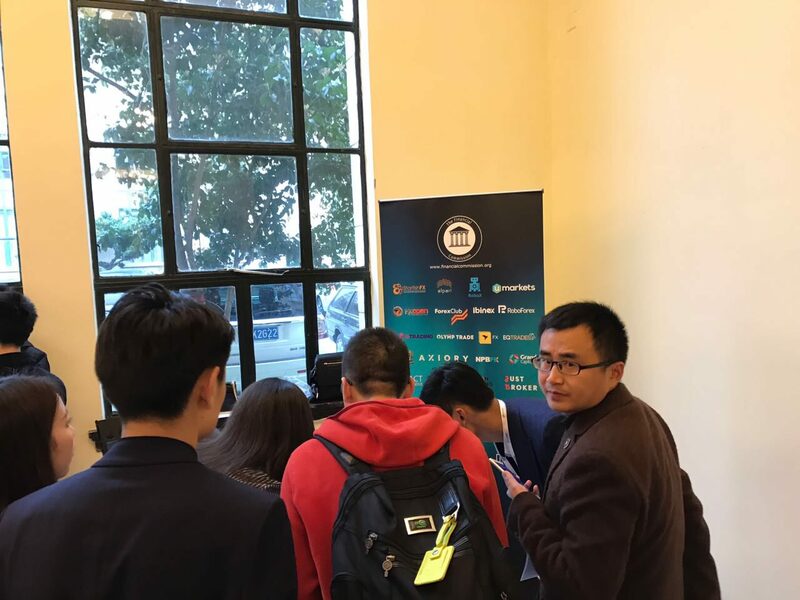 His interests lie in the areas of cryptanalysis, applications of data analytics techniques in fraud prevention and Blockchain security and regulation. 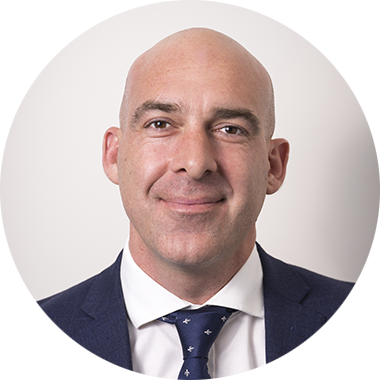 He has consultancy experience across many different countries and he has been a consultant with many SMEs and big organisations such as banks and technology bodies. He is Recipient of the UK University Cipher Champion 2013 award. Vitaly Bulychev is known as an entrepreneur, investor and researcher in the field of distributed ledger technology since 2012. Inspired by the opportunities of decentralization and synergy of cross-disciplinary competencies, Vitaly invested in a number of crypto-related projects, including industrial-scale mining and private investor pool management. At the moment, Vitaly is working on Pandora Boxchain, a project on the global decentralized economy of artificial intelligence, and also consults and participates in the implementation of a number of projects, in particular, the processing platform, delegated democracy tools and solutions in the field of cybersecurity. Embracing the emerging blockchain economy driven by innovation, Financial Commission announced the acceptance of cryptocurrency as a method of payment for its services and to align with industry trends. In response to a need to distinguish educational materials from marketing content, in November 2017 Financial Commission extended its Technology Certification service to education providers, with the launch of the Education Provider Certification service. This new offering enables educational providers to voluntarily subject their educational materials for review by Financial Commission, when seeking to become a certified Education Provider. Following the reduction in leverage in 2017 that was anticipated in Financial Commission 2016 report, regulators have shifted to begin to issue guidance and restrictions about margin-based cryptocurrency CFDs, cryptocurrency exchanges trading the underlying, and announcements related to ICOs. We expect these trends to continue to impact the online brokerage industry as fintech companies seek to raise capital via ICOs while implementing blockchain into their products and services, as well as see more brokerages continue to launch cryptocurrency CFDs, exchange-traded cryptocurrency products, and trading the underlying. 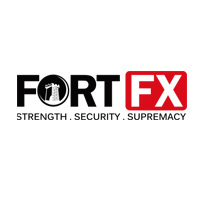 Forex Brokers offering cryptocurrency CFDs faced challenges in 2017 with sourcing crypto liquidity and managing risks during high periods of market volatility causing leverage and trading to be reduced, comparable to the risk-management steps taken during Brexit-related market volatility during extreme times when leverage was reduced and trading suspended or put in close-only mode. We expect the industry to further mature in this regard as more crypto assets become listed as CFDs with more and more forex brokers that offer margin-based trading, as well as delivery of the underlying. 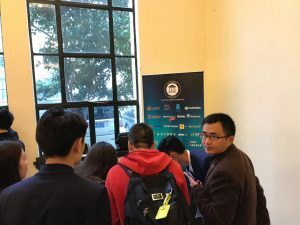 Many self-regulatory trade associations are emerging to help meet the needs of the industry and may play an increasingly important role to guide policy for institutions and law makers, as new regulations are established to support the emerging blockchain economy in different parts of the world. Forex and CFD brokers continue to face the challenge of scaling their volumes amid a reduction in leverage and the demand for best execution. We expect regulatory arbitrage to become more pronounced then dissipate in a cyclical manner as new regulations are established in the wake of further innovations for public decentralized networks and for permissioned blockchain networks, as well as rules surrounding how related cryptographic assets are traded on secondary markets. As a rise in ICO marketing scams and unbalanced advertising has led to major bans on serving ICO-related ads on networks like FaceBook already in 2018, these trends highlight the growing need for best-practices to be established for marketers involved in ICOs and token sales. Financial Commission’s Technology Certification service expanded to include Education Provider certification and ICO certification, to align with the growing needs of the Financial Technology and the Financial Services industry. We expect these segments to continue to evolve and mature as market conditions dictate. For brokerages and technology providers operating in less stringent regulatory environments and jurisdictions where either no formal rules have been outlined, becoming a member of an independent SRO such as Financial Commission demonstrates a commitment to compliance, and helps win and maintain clients’ trust. With industry trends firmly in place, Financial Commission is positioned to sustain its growth through 2018, pending any major overhaul to global financial markets by the G20, for margin-based derivatives including forex, CFDs and cryptocurrencies, as well as trading the underlying in over-the-counter (OTC) and exchange-traded markets. Financial Commission’s work with other private and national bodies, helps align our efforts strategically with emerging trends and needs of the broader community. 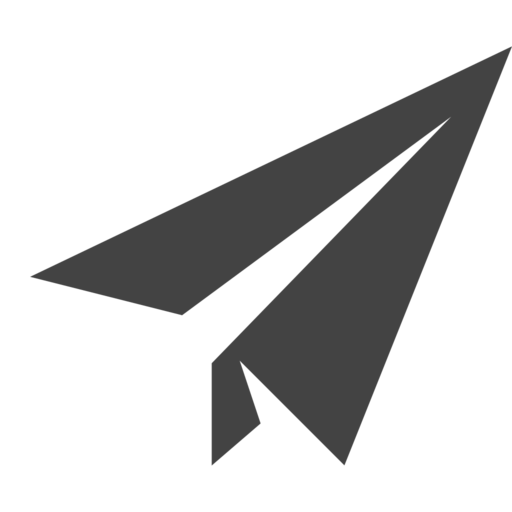 Online brokerages and technology providers who put their clients’ interests first, join Financial Commission to provide customers a channel for dispute resolution, in the inevitable rare cases when disputes cannot be resolved internally. With the arrival of cryptocurrencies, financial product complexity has risen to new heights, and client education has never been more important when it comes to understanding the evolving risks and potential of various investment products, including a broker’s policies and procedures, product specifications, internal processes and controls – and other material information which affect customers and their contractual relationship with their broker. Financial Commission continues to strive to educate clients, and brokers, and support related initiatives while holding brokers to high standards, and investigating each complaint that is filed through our EDR system by using a proven approach to the dispute resolution process.